This is an absolute MUST for your garden. 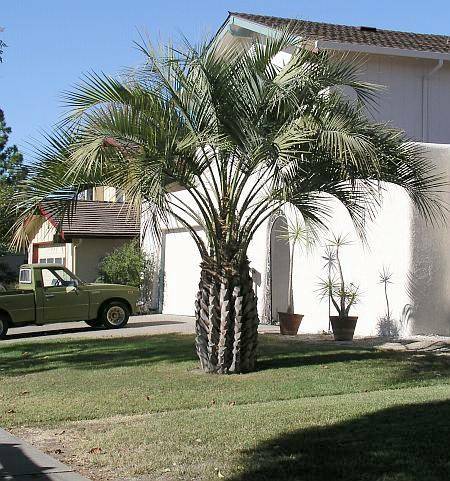 This tree has a pinnate leaf which is what you need for the tropical look! Delicious edible fruit is produced on this tree in Northern California in as few as 8 years from seed. The fruit is commonly used to make Jelly although the pulp is a bit fibrous for jam. 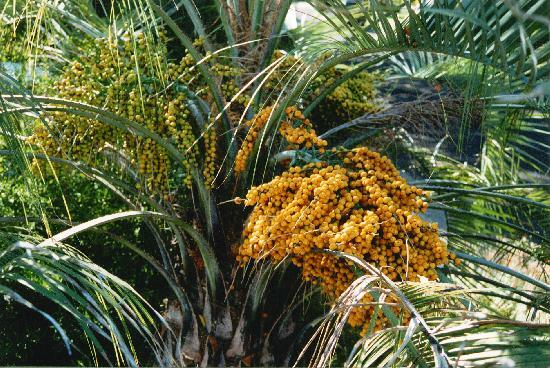 The fruit can also be eaten directly from the tree. There are some color differentiation's of the leaves with the most common color a glaucus green. 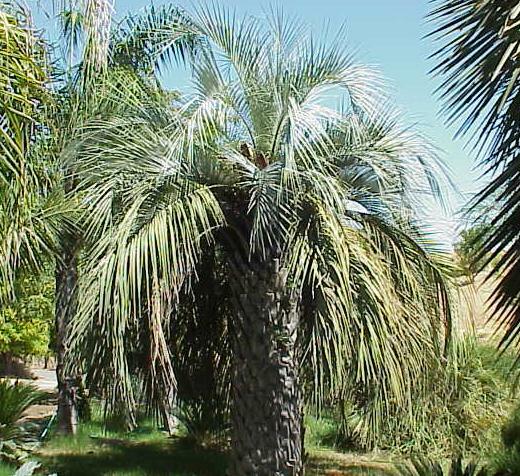 Some trees have an almost white appearance and are referred to as Blue Butia or Silver Butia. The slow growth rate makes it easy to keep this tree well manicured with little effort. The spread is only about 10 feet, so there is no reason that it cannot be added to the smallest yards. 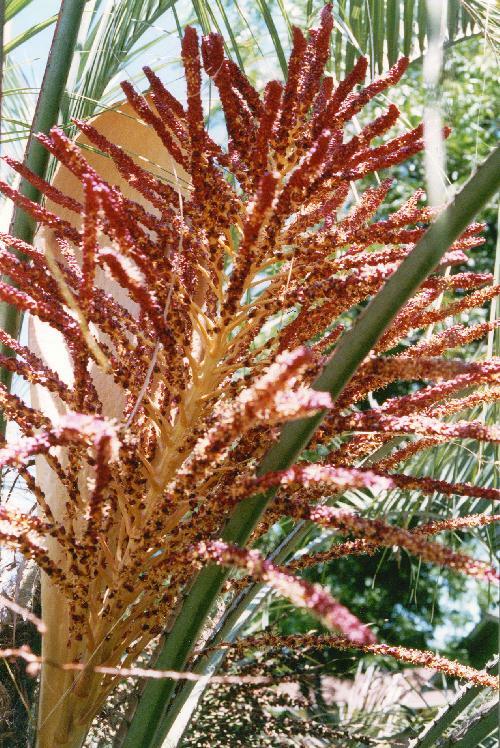 Readily available at any Palm Tree Nursery, so give it a try.